Helping Professionals Achieve and Succeed! 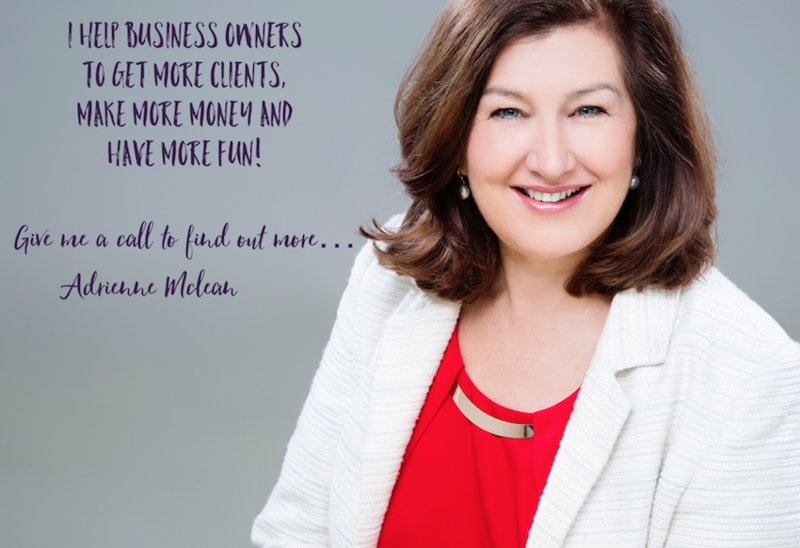 Adrienne McLean works with business owners and entrepreneurs to help them get booked solid to achieve all of the clients they want. And even more important, Adrienne helps her clients to be a client attraction magnet to keep the pipeline full helping with the skills to get there. Adrienne McLean’s mission is to help SME Service Professionals think bigger, grow and succeed. Helping to be of service to you and your business with marketing, business development, sales, mindset and marketing strategies. Helping you with a system to market your services that works. And working with you to develop a framework with the systems and process so that you can dazzle all of your clients while building your business to take on even more. Adrienne McLean had small business all around her being a Director and part of a family business. It is a part of her DNA. This enabled an understanding of business and which developed an entrepreneurial spirit. Knowing the challenges, ambitions, stresses and how businesses work. Marketing to raise awareness. Confident Sales pitches, conversations and presentations to communicate with impact. Processes and systems to help you delight your customers. A winning combination. Adrienne McLean has her audits, training, mentoring and implementation packages ready to help you achieve your goals making your dreams a reality!